Bill Windsor is alive and well at 5:00 pm Mountain Time on January 2, 2015 en route to somewhere, but maybe not where originally planned. Has Corrupt Ellis County District Attorney Patrick Wilson placed Bill Windsor on America's Ten Most Wanted List yet? District Attorney Patrick Wilson has done a Wanted Poster of William M. Windsor. How ridiculous is this! Murderers are running the streets of Ellis County but he has the entire Sheriff's Department on Red Alert for William M. Windsor, moviemaker and mailer. Bill Windsor guesses that District Attorney Patrick Wilson doesn't like being shown up as the fool that he is. Has District Attorney Patrick Wilson put a bounty on Bill Windsor's head for failure to appear at a hearing that he didn't notify him of? Ellis County District Attorney Patrick Wilson is a pathetic excuse for a small-town prosecuting attorney. He has committed crimes, and someone should arrest him. I'd really like some more aliases on my Wanted Poster. Added should be aka Montana, aka BamPa, aka School, aka Old School, aka Pops, aka Pawpaw aka Jack the Ripper, aka Billy the Kid. Click here to see the bond that William M. Windsor was given on December 19, 2014. Note that it is missing an important signature on the second page -- the sheriff's department's release. They were supposed to sign and have Bill Windsor sign, but they just turned him loose. So, the bond probably isn't even valid. But assuming it is, note the terms. Bill Windsor was not restricted in travel anywhere in the United States. 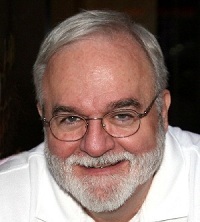 The only requirements were to keep the court notified of a Texas address, which Bill Windsor did; turn over his passport, which he did; and appear for a January 21, 2015 hearing, which he would have done if he had not already turned himself in to Montana authorities, as Judge Cindy Ermatinger advised him to do. There was no obligation to attend a surprise hearing when Bill was out of state headed for Montana. But corrupt folks don't care about the facts or the law. Note the Motion that was filed for William M. Windsor before the surprise hearing. 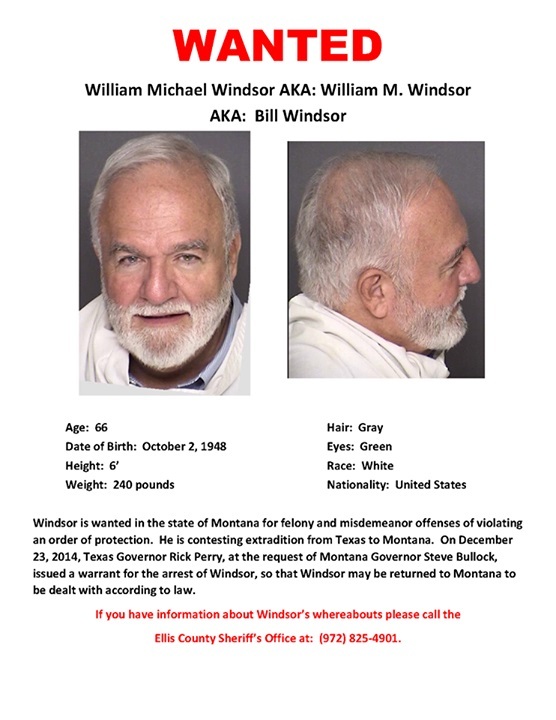 Before Bill Windsor reaches each state, he generates a document with the state's extradition law and an explanation of how the bogus Montana Bench Warrant will not allow anyone to legally take him into custody. He's done five so far, but he hasn't had contact with any law enforcement people, so he hasn't had to pull it out. The law is crystal clear. But the corrupt law enforcement officers, prosecuting attorneys, and judges don't care about the law or our rights. They're all just wreaking havoc on people as they live their power trip life. Bill Windsor is not traveling light. Literally EVERYWHERE he goes, he has his rolling computer bag, laptop, cash, prescriptions, and other important things to have should some super sleuth grab him. It is FREEZING in the Northland. ZERO degrees at 5 pm at Bill Windsor's next stop. It'll be way down in the minuses later. Lots and lots of snow and ice. 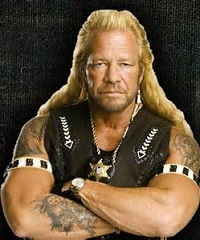 Photo copyright Dog the Bounty Hunter.